Only about 100 m away from the Globsow lake, are on the well-kept residential land of the landlord, the two cottages. The bathing area is about 200 meters away. Each house is equipped with living room (upholstered furniture, satellite TV, radio), bedroom (1 double bed, 2 chairs), a kitchenette, shower / WC, central heating and furnished terrace. There are also Wi-Fi, barbecue, various children's play equipment, parking, bicycles and rowing boat for free use. The total price includes final cleaning, bed linen, towels, water and energy. 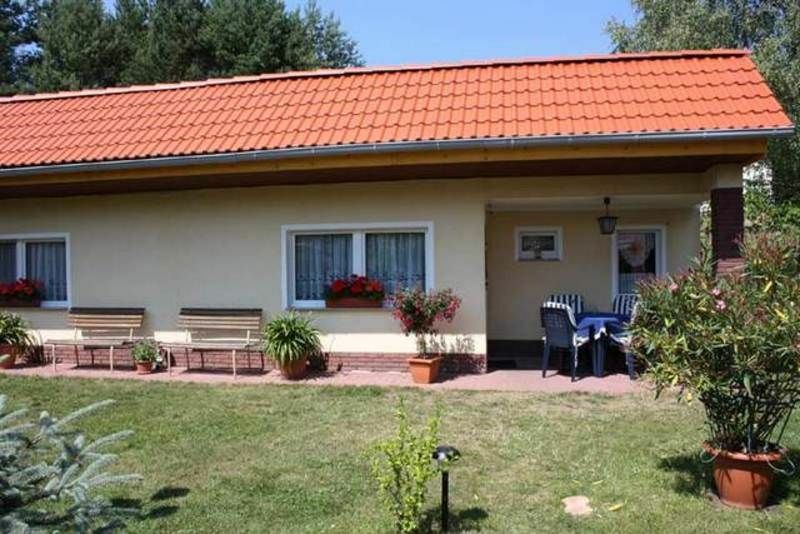 Altglobsow is a small village in a beautiful forest location, about 9 km south of Fürstenberg. The small town of Rheinberg is 15 km away. The Globsowsee, a beautiful swimming and fishing lake, is located directly in the village.